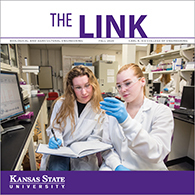 The K-State Department of Biological and Agricultural Engineering is unique. Our mission, to advance the knowledge and application of engineering and technology to living systems, agriculture, and the environment, guides us as we serve our students, our communities and the world. Our department is small enough to care, and our people are big enough to make a difference. We hope you will explore our website to learn more about us, our programs and how we bring solutions to life. Read a welcome message from Department Head Joseph Harner. Sylvester Badua, doctoral student in biological and agricultural engineering, is among students presenting posters of their research at the Capitol Building today and will have the opportunity to share their work with Kansas legislators. Ajay Sharda, assistant professor of biological and agricultural engineering, is principal investigator for the project titled "An autonomous insect Sense, Identify, and ManagePLatform, or SIMPL, to advance crop protection." With approval of a new four-year grant, the Kansas AgrAbility Project will continue until at least 2022, which would mark two decades of the program as a resource for Kansas farmers and ranchers dealing with disabilities and chronic illness.